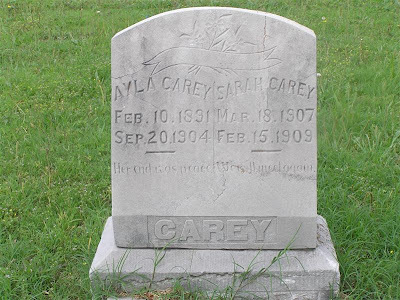 Ayla Carey was born in Cherokee Nation, Indian Territory, in 1891, the daughter of Aaron Carey, my great great grandpa, and Lidda Bighead or Ta-ga-ta. She was listed on the Final Dawes Roll as Cherokee by blood, full blood, card 7773, number 29062. According to the death affidavit in the Dawes packet, she died September 20, 1903. 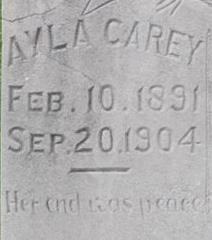 Her stone lists the year as 1904. Either way, she was just a little girl of about 12 or 13. 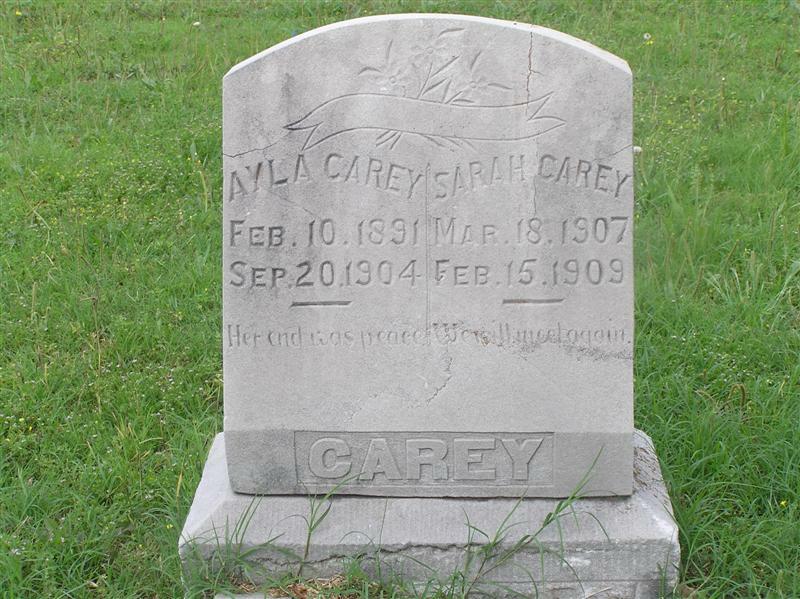 She was buried in the Lost City Cemetery in Lost City, Oklahoma, and now rests with many from her family. May she rest in peace.